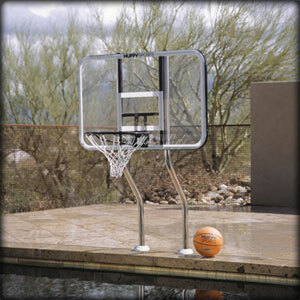 Our pool Basketball game set will provide your family with hours of family fun. The support legs come standard in stainless steel and can be upgraded to one of 5 designer powder coat colors. Pair this game set with a diving board or water slide for the ultimate sport pool experience! Our pool Volleyball game set is the perfect addition to any backyard pool party. The support legs come standard in stainless steel and can be upgraded to one of 5 designer powder coat colors. 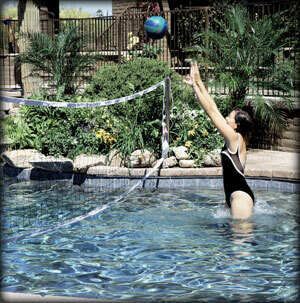 Pair this game set with a diving board or water slide for the ultimate sport pool experience!